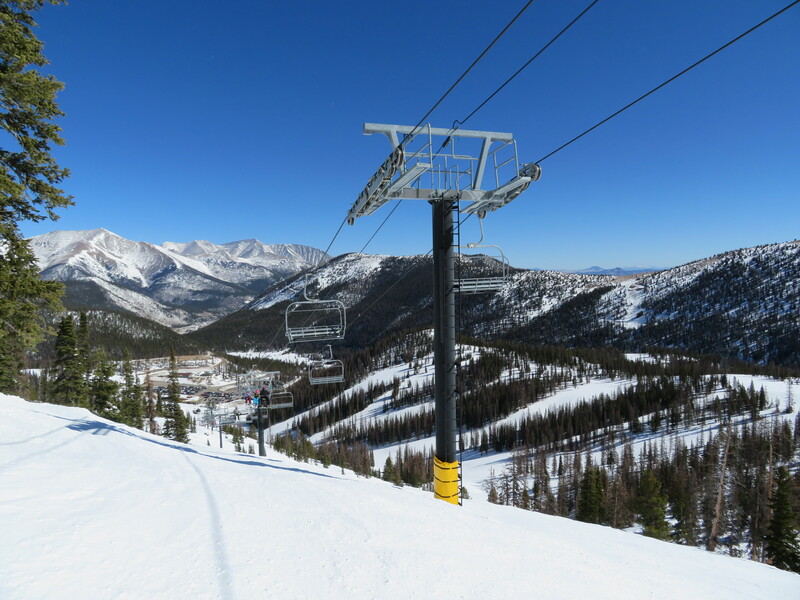 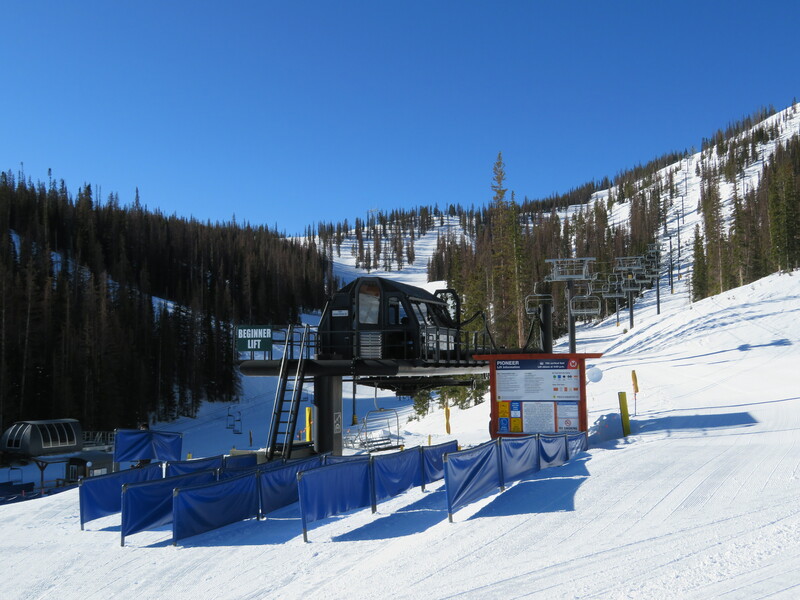 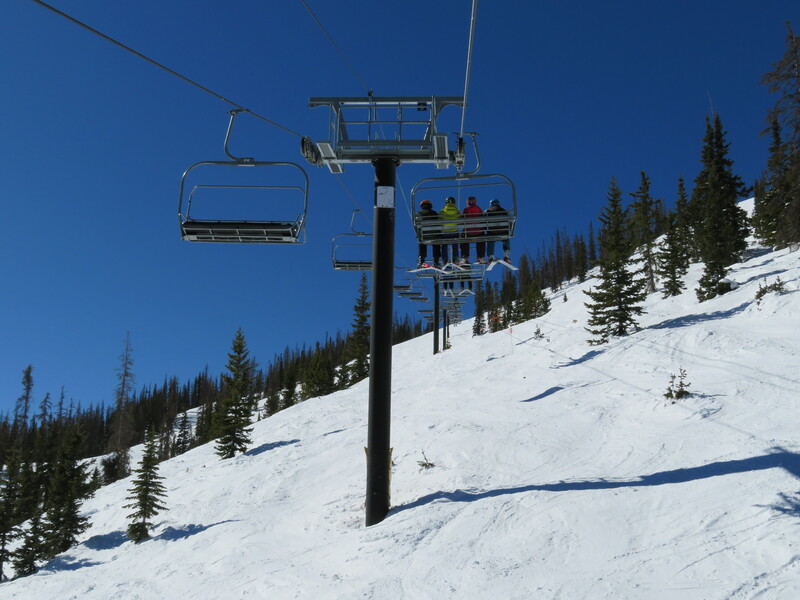 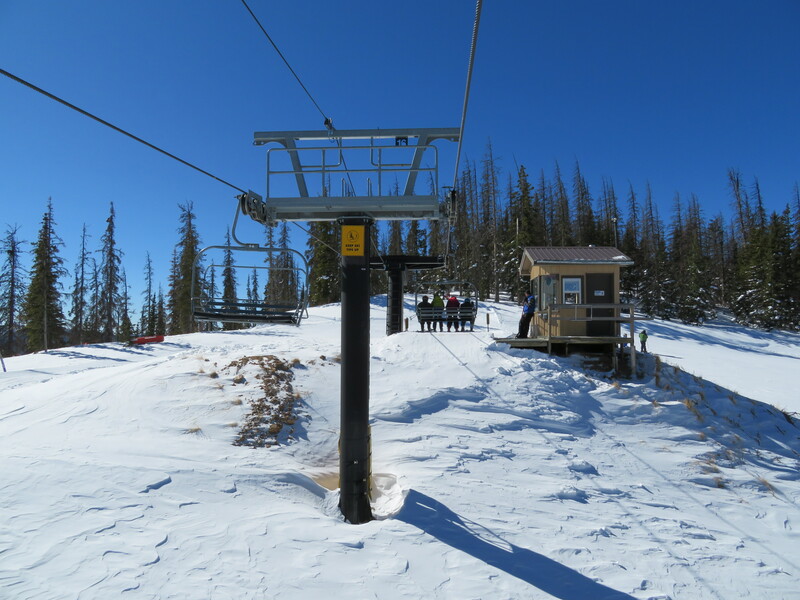 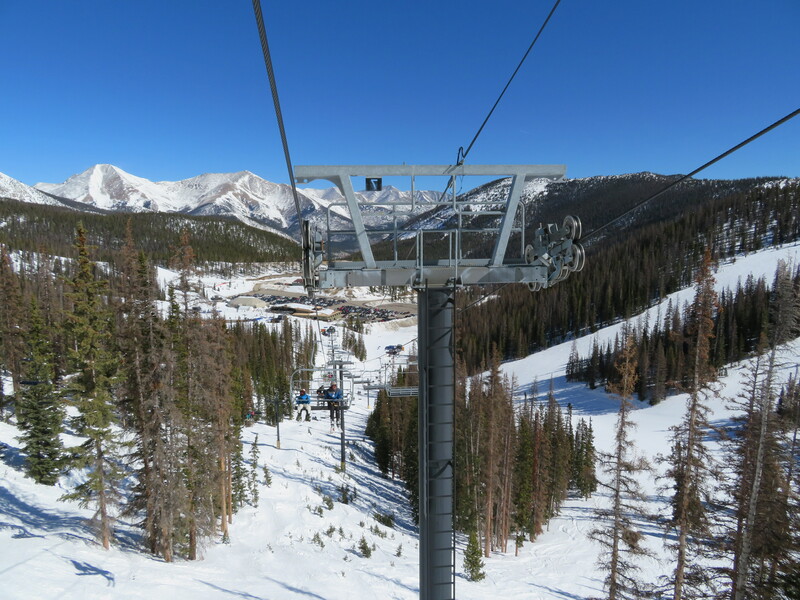 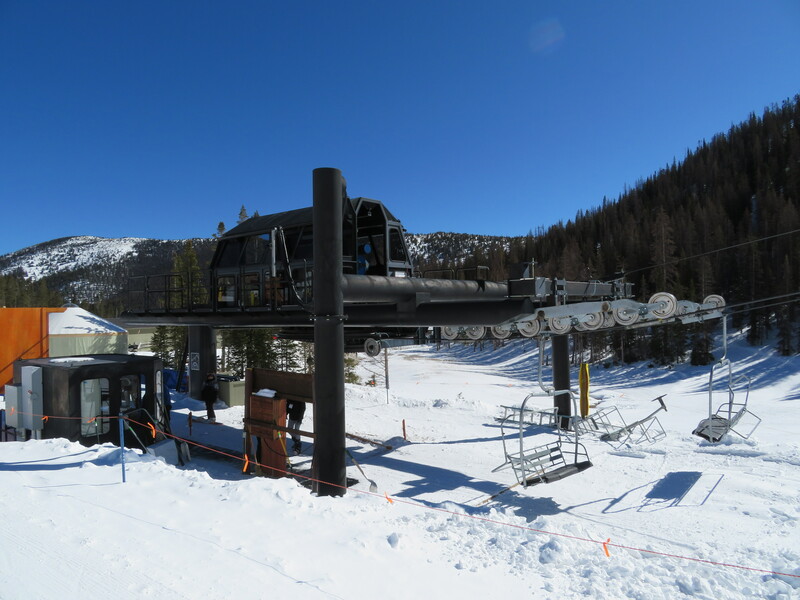 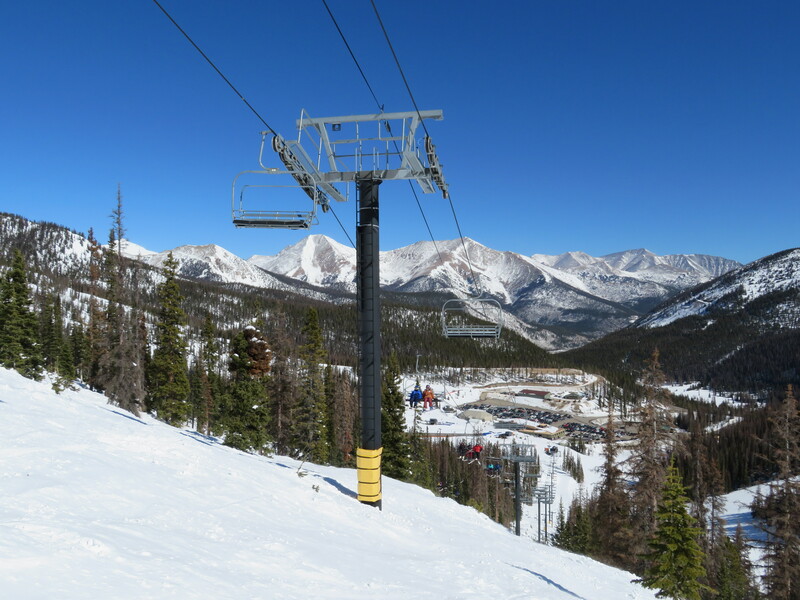 As of 2018, Pioneer is the newest lift at Monarch, opened in 1999. 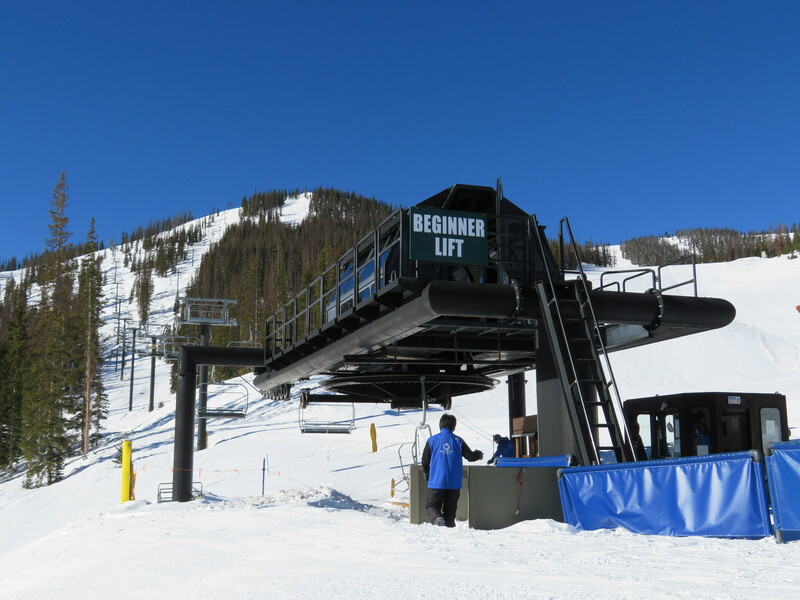 Like all lifts here, it has the drive and tensioning at the bottom terminal. 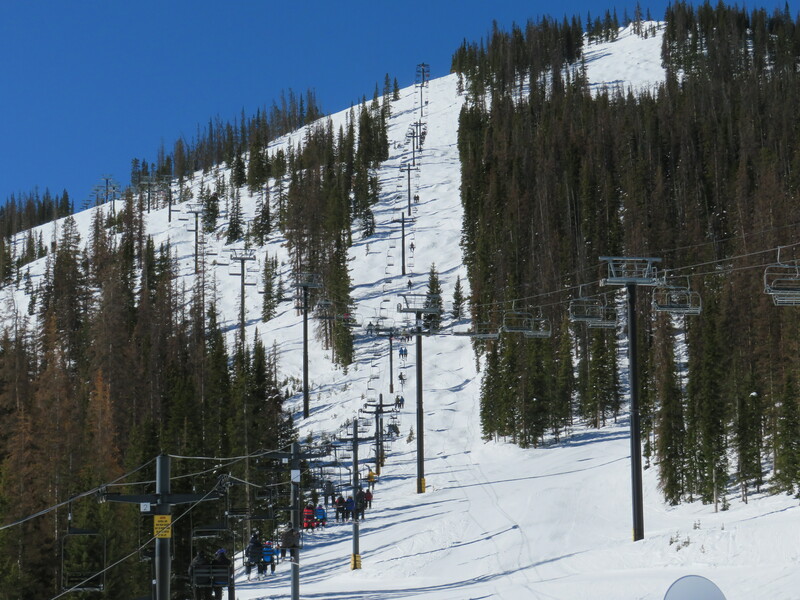 Many of the towers are quite tall to cross over the Garfield double. 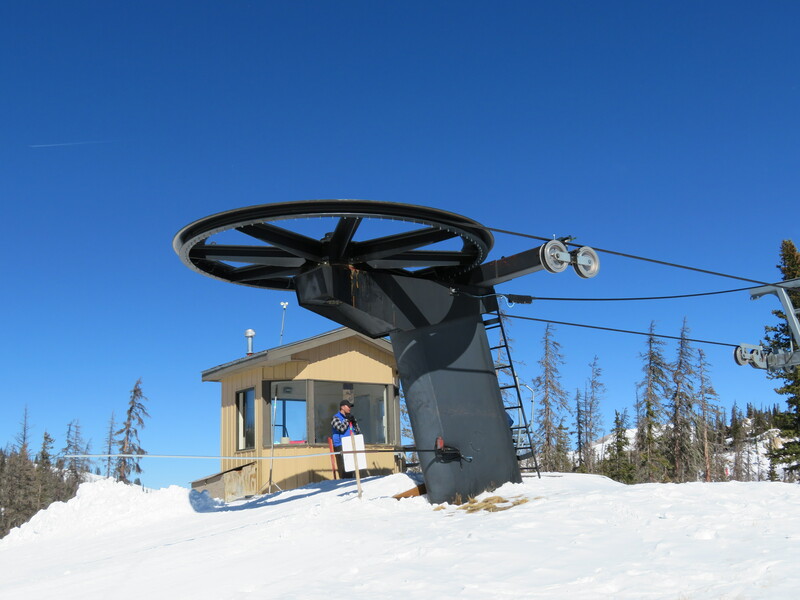 Lower station with integrated sheaves. 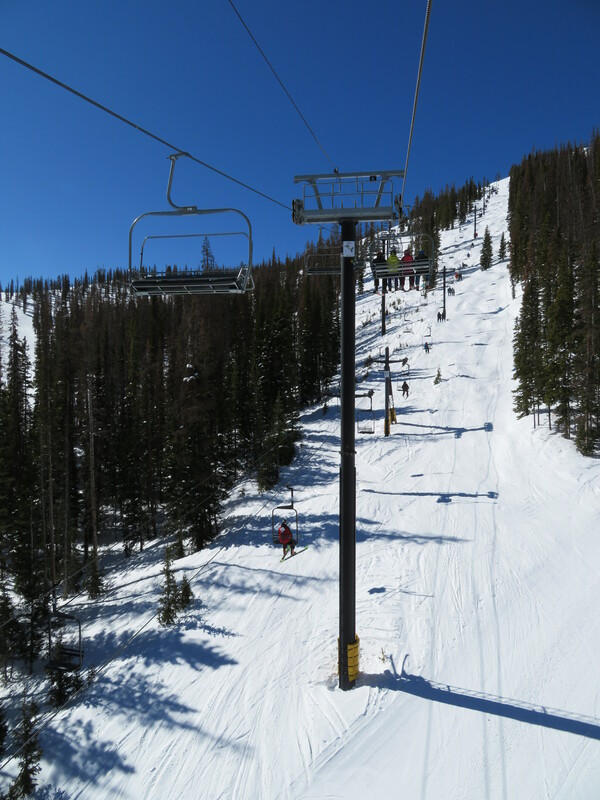 Riding up the upper section. 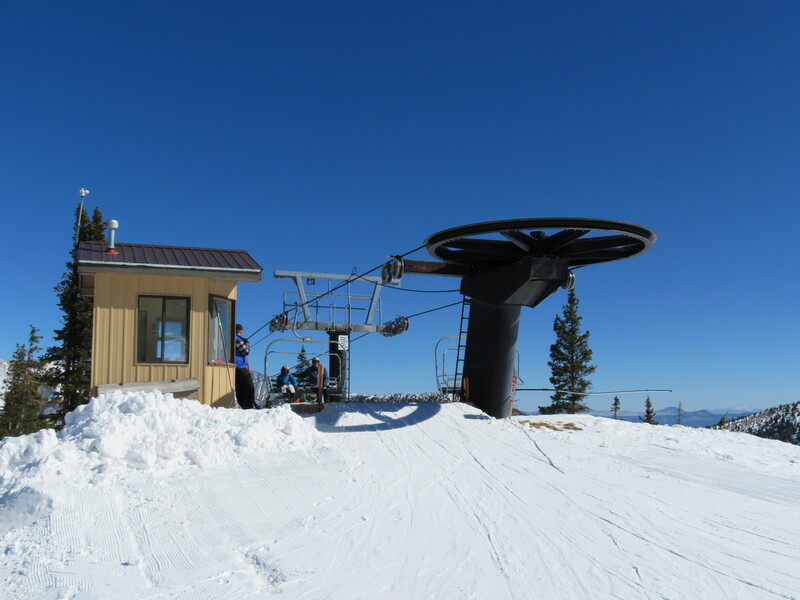 This station model is called the Orion.